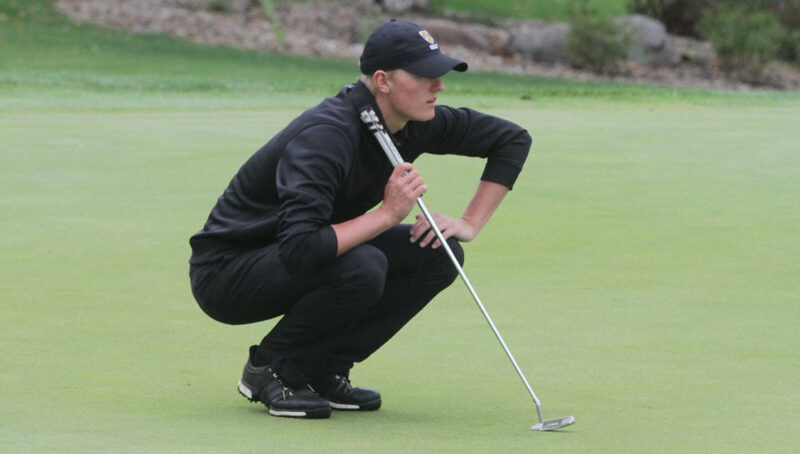 DECATUR, Ill. – The Gustavus men’s golf team took a fourth place finish out of 17 teams at the Take Back the Night Challenge, hosted by Millikin University, firing a round two score of 294 to finish at 600 (+28). The Gusties were tied for sixth place after a round one score of 306 and jumped up to fourth after dropping 12 strokes during day two on Sunday. Illinois Wesleyan finished seven over par for a two-day total of 575 to take first place. “Today was much better with a well-balanced attack,” said Head Coach Scott Moe. “We struggled over our last two holes which was unfortunate because we put together a really solid day. The pins were very tough and are ball-striking was solid again. Chris Captain (Sr., Rochester, Minn.) led the Gusties, carding a 72 for a total of 147 to tie for 10th place. Ben Hauge (So., Ramsey, Minn.) followed as he tied for 14th, finishing at 149 after scoring a 75. Alec Aunan (Sr., Rock Island, Ill.) remained tied for 36th after improving upon his round score by five strokes, while three other Gusties scored within the top-50. “Illinois Wesleyan is a great team, and there are other teams in the field that we were able to pull ahead today. It was nice to get in a 36-hole contest. We are looking forward to our next opportunity next weekend at the Saint John’s Invitational,” Moe concluded. Next weekend, the Gusties are set to compete at the SJU Invite in St. Cloud and Monticello, Minn.